Jim Beam Bourbon has launched a new global marketing campaign, called Raised Right, which celebrates the value of “treating those around you like family”. The Raised Right initiative will make its debut in the US with a TV advertisement, titled Celebration. Celebration will premiere in select US markets including New York City, Los Angeles, Chicago and in Lexington and Louisville, Kentucky – it was also shown during this weekend’s Super Bowl. It will also be rolled out nationwide. The campaign has launched in the US, Australia and Germany and will soon be expanding to other markets globally. It will be supported with TV, digital and print advertising, local activations and retail marketing. The 60-second spot tells the story of James B Beam in the run up to the end of Prohibition. A group of family and friends help Beam to rebuild the brand’s distillery in 120 days following the law’s repeal. 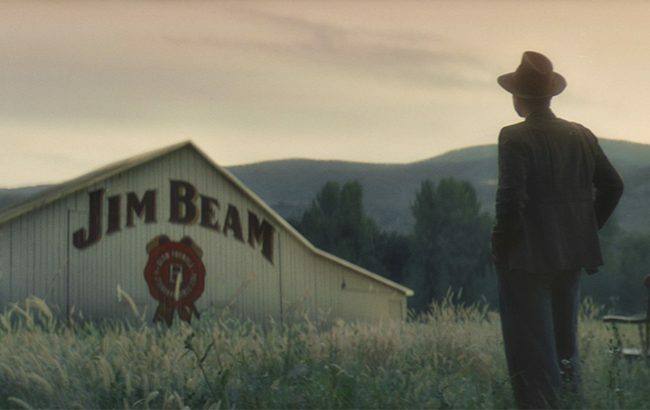 Beam Suntory-owned Jim Beam teamed up with global advertising agency Adam & Eve NYC to launch the campaign and TV advertisement. “Jim Beam’s explosive growth in the US and overseas in recent years has shown us that our consumers appreciate the brand’s heritage and the way we make our Bourbon,” said David Campbell, vice president of global integrated marketing communications at Beam Suntory. Celebration will feature on a number of television networks worldwide. In addition to Celebration, the campaign will include Watching, a shorter modern-day film “that heroes the Beam family’s distilling legacy”. Check out the first advertisement from the Raised Right campaign below.